LEN - www.lankaenews.com | Dictator is good for country..! JO decides - 16 discarded M.P.s too endorse ! 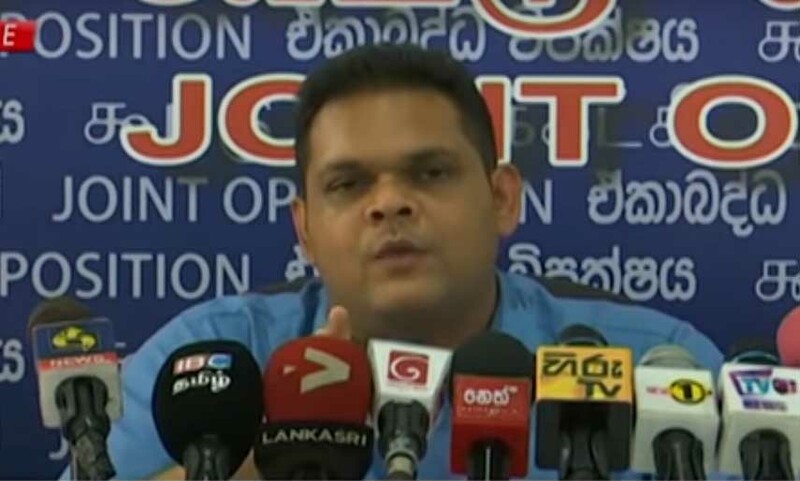 (Lanka-e-News – 02.June.2018, 11.00PM) The Joint Opposition group of M.P.s today decided not to extend support to the 20th amendment presented by the JVP to the speaker to abolish the executive presidency, thereby indirectly saying a Dictator is again necessary for this country. The 16 bankrupt SLFP M.P’s (slaves) who are now left out by the government and are on the fence are also trailing behind that group. In their opinion a president like the dictator of the corrupt nefarious decade or an empty Humpty Dumpty like the present president who has a fall all the time is necessary for the country. What is even more rudely shocking is, these slavish scoundrels now in the parliament are even antagonistic to the transfer of the powers now centralized in the hands of a single individual to the parliament, the sublime representative body of the people. Consequent upon this decision , the chances of easily getting a preliminary two third majority to abolish the executive presidency is imperiled. According to constitutional experts , if that can be passed with a 1: 2 majority in parliament, then the 20 th amendment can be adopted via a subsequent referendum .